11.02.2014 - As word began to spread that the rules in force at EU airports since 2006 had been relaxed, some confusion arose as to what the changes actually involved. A detailed look at the amendments shows that nothing is really that different at present, with the exception of the treatment of duty-free liquids bought in non-EU airports by transfer passengers. 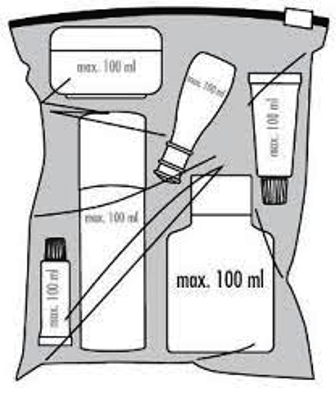 Contrary to rumours circulating on various sites and social media, the limit of 100 ml for liquids and gels and the obligation to present them in a transparent bag remain in force. The only easing of the restrictions covers medications, dietary food and baby foods, which may be carried on board once they have been checked by the new liquid analysers installed in most EU airports. "It is very much a case of 'as you were' after 31 January, despite the widespread belief that the situation has changed" said a civil aviation source. It’s believed, however, that the slight changes are a sign that further relaxations of the strict rules are in the pipeline.